The property is situated on the western side of Portobello Road , close to the junction with Golborne Road . Other businesses located nearby include Pizza East, Persian Kitchen, Meli Melo, Bluebelles of Portobello Road, Schneiderman Gallery, Ally Capellino, Lowry & Baker. View location map. Comprising a ground floor retail space with two former treatment rooms, WC and office to the rear having a ground floor gross internal area of approx. 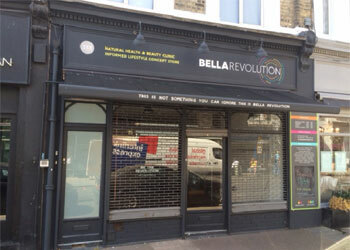 765 sq ft 71 sq m.
A new full repairing and insuring lease is available for a term of up to 15 years. £35,000 per annum exclusive, subject to five yearly upward only reviews. The tenant will bear a fair proportion of the expenses incurred in maintaining and insuring the building structure. Copy E.P.C. and recommendations available on request. Energy Performance Asset Rating 139 (Band F). The local authority has verbally informed us that the rateable value for the entire premises is £22,500 and the rates payable for the current year ending 31/03/17 are £10,840. Interested parties should make their own enquiries and confirm: - Royal Borough of Kensington and Chelsea business rates department 0208-315-2082.